Now at peace and resting, Tony passed away on Friday, March 23, 2018. Preceded in death by his devoted wife of 58 years, Bonnie Lee and survived by their five children, Leslie (William) Barry, Marcia Mulvey, Sharon Livingstone, Tim (Shebenice) Cook, and Andrew (Monica) Livingstone. As “Grandpa” Tony was adored by his eight grandchildren, Mark (Chelsea) Barry, Stephanie Barry, Tony Mulvey, Emily Mulvey, Alexandra Livingstone, Sofia Livingstone, Andrew Livingstone, and MaryAlice Livingstone. He is survived by his twin brother, Walter (Ann) Livingstone, younger brother, Donald (Mary) Livingstone, and younger sister, Sonja (William) McShane, who often mentioned that thanks to her “older” brothers, she was quite able to fight her own battles! All were indeed blessed to be so very close to one another as a family, and to also live near each other in South Miami. 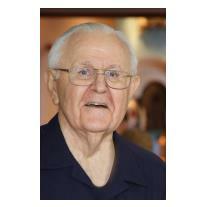 As “Uncle T” he shared a special bond with all his many nieces and nephews and their families. Also known lovingly as “Dr. L” he practiced dentistry for over 40 years. A special thrill he often spoke about, was to have had the honor and privilege of attending to the dental needs of three generations of family patients, parents, children, and grandchildren! Success he defined as “family memories”, they numbered in the millions. Active in his parish, St. Thomas the Apostle Catholic Church, where his woodworking hobby projects continue to be represented and in daily use, including the main altar, all made of red oak, and built to last. He was active as a lector, Eucharist Minister and altar server. Tony attended daily Mass, his philosophy being, “It’s always best to start the day doing something right.” He lived a life of happiness and leaves behind for his many friends, “happy memories.” The family will receive friends April 6th from 6-8pm at Stanfill Funeral Home. There will also be a funeral Mass April 7th at 12:30pm at St. Thomas the Apostle Catholic Church 7377 SW 64th St, South Miami, FL 33143. The family would like to thank everyone for their support and especially the “Visiting Angels” for the exceptional care they provided both “Mr. Tony and Miss Bonnie” over the past year. In lieu of flowers, donations can be made to St. Thomas the Apostle Catholic Church.